"I hope you swallowed the 💍"
ICYMI, last night on The Bachelor finale Arie Luyendyk Jr. stunned his brand new fiancé, Becca Kufrin, by dumping her on national television to shoot his shot with his runner-up, Lauren Burnham. Many fans felt the way that Luyendyk blindsided Kufrin on camera was a new low for the show, and his delivery of the breakup was pretty classless. Bachelor producers: let’s invite Becca to LA and pretend it’s for a happy couples weekend and then we can film you ripping her heart out in what will probably be the biggest betrayal of her life. Arie: I love that. However, amid all the drama, many women also stepped up to show Kufrin some love. 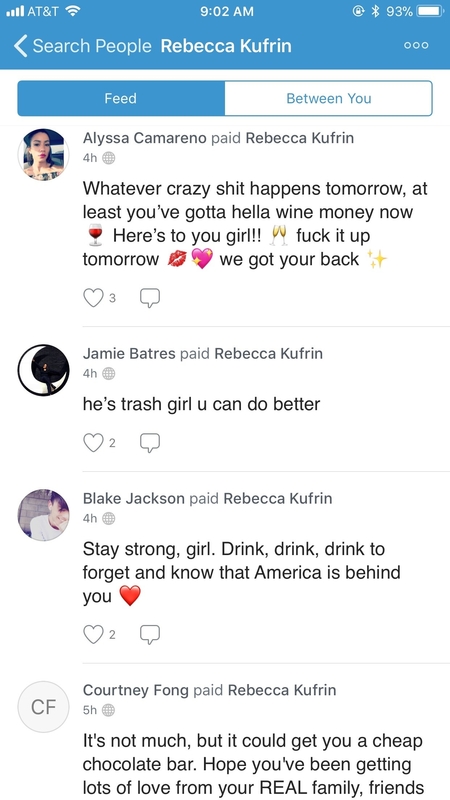 Ever since the episode aired, fans of the show have been sending her money via Venmo for a drink. Although many of the women wrote they weren't sending a lot of money, they said they wanted to do something to cheer Kufrin up a bit. 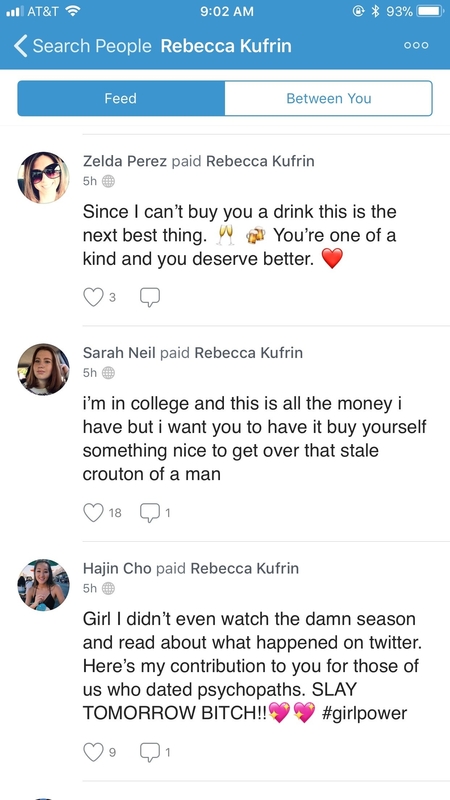 "I'm in college and this is all the money I have but I want you to have to to buy yourself something nice to help get over that stale crouton of a man," one girl wrote. People legit loved how supportive women were being, as always.